The Blue Mountains offers many spectacular areas for both beginner to advanced abseils. Here are but a few of the many within the mountains. 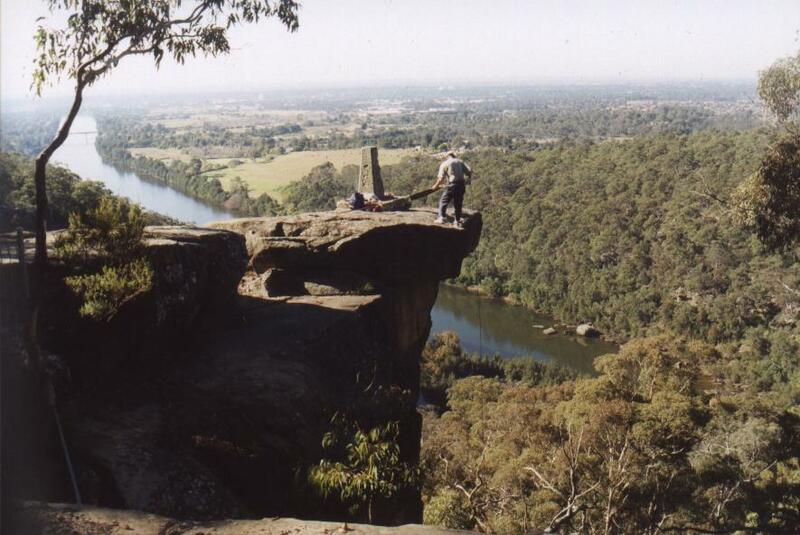 Pictured is Mount Portal overlooking the Nepean River Penrith. The abseil is a 40m overhang, a real heart pumper. Todd pictured is contemplating whether or not he should take the plunge. 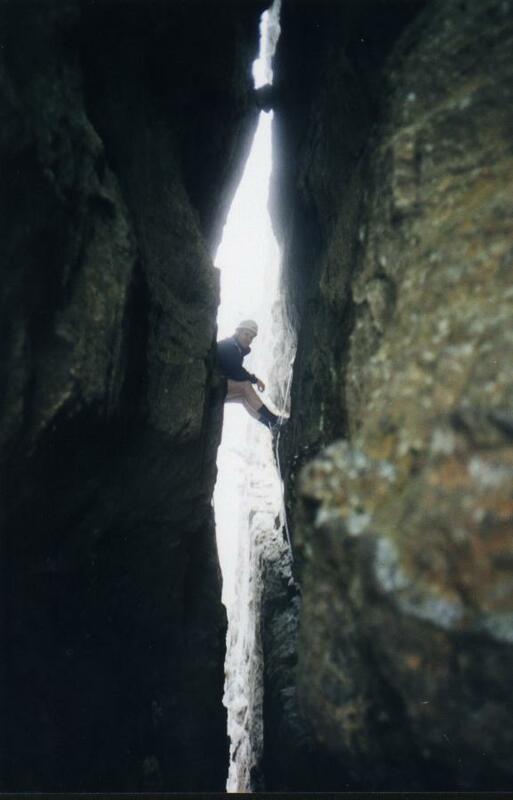 Pictured right is the second abseil on Bores Head at the top of the traverse. From here you drop about 15m to the next abseil of about 25m.